Cap almost any glass with the first ever universal beverage cap. The Cool Cap stretches to fit many cups from 2.75 - 3.75 inches. 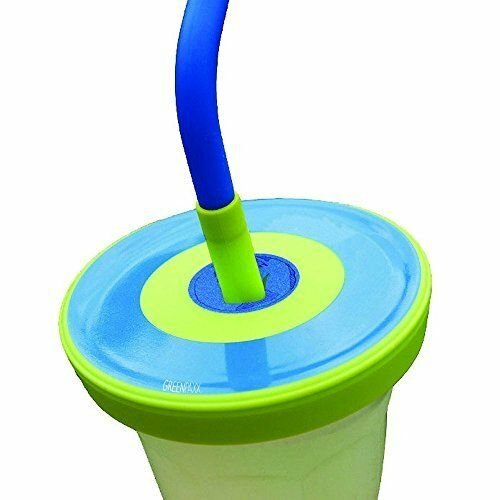 Made from 100% non-toxic food-grade silicone, it allows you to create a spill resistant cup out of almost anything you have in the house already. Use it with glass for a great alternative to the hidden toxins commonly found in plastic. Take your drinks, juices and smoothies in the car, the pool, to the soccer game or anywhere you go. The outer ring stretches and flexes to fit large cups, the second ring stretches and flexes to fit medium cups, and the smallest inside ring for small cups. It keeps beverages carbonated longer and delays the oxidation of fresh smoothies and juices. Heat resistant silicone even keeps drinks cold longer in the sun. You can even bring your Cool Cap to the store instead of using disposable plastic cups and lids for your drinks. Great for green smoothies.